A U.S. cargo craft full of science gear and crew supplies is on its way to the International Space Station after a successful launch. Orbital ATK’s Cygnus resupply ship blasted off Monday night from Virginia on a mission to replenish the space station crew. On the other side of the world in Kazakhstan, a Soyuz rocket is set to launch three Expedition 49-50 crew members to their new home in space early Wednesday morning. The new crew will arrive Friday morning and dock to the Poisk module after two days of flight tests on the upgraded Soyuz MS-02 spacecraft. 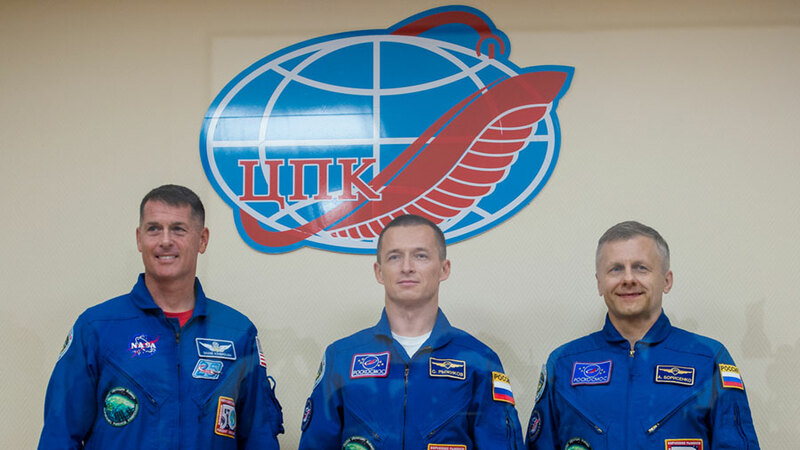 NASA astronaut Shane Kimbrough and cosmonauts Sergey Ryzhikov and Andrey Borisenko will live in space until late February. Astronauts Kate Rubins and Takuya Onishi were back at work Tuesday on life science experiments, helping doctors understand the effects of living in space. Rubins scanned Onishi’s arteries with an ultrasound for the Cardio Ox study that explores heart health. Onishi also participated in another pair of heart studies including Biological Rhythms 48 Hours, and Vascular Echo. Rubins tested the station’s water supply to improve the safety of future space missions. Commander Anatoly Ivanishin worked on his share of Russian space research and is also getting ready to return at the end of the month. He will return home with Rubins and Onishi inside the Soyuz MS-01 spacecraft ending a four-month mission. What are the chances NASA could add a “Dockings and Undockings” topic, and post the expected schedule. It is easy to go out and see the space station. I use the schedule as seen on heavens-above.com. About 10 years ago, I happened to view the space station just a few degrees apart from a supply ship. It was the coolest thing I’ve ever seen related to man-made satellites. If the docking and undocking schedule were to be posted, everyone would have such opportunities, and I’d like to see more.